In December 2013, a young boy in a tiny West African village contracted the deadly Ebola virus. The virus spread to his relatives, then to neighboring communities, then across international borders. The world's first urban Ebola outbreak quickly overwhelmed the global health system and threatened to kill millions. In an increasingly interconnected world in which everyone is one or two flights away from New York or London or Beijing, even a localized epidemic can become a pandemic. Ebola's spread sounded global alarms that the next killer outbreak is right around the corner. Maneater is a personal account by a specialist who approaches her work like a forensic scientist or a case-hardened private eye. Dr. Pamela Nagami is a leading authority on infectious diseases and her stories will shock, amaze, and warn listeners.The patients in Maneater are ordinary Americans. When Danielle Jordan innocently ordered a salad for lunch in Puerta Vallarta she had no idea she had just become the "host" to an organism that six years later would grow into a worm and burrow into her brain. Feeling feverish, tired, or achy? 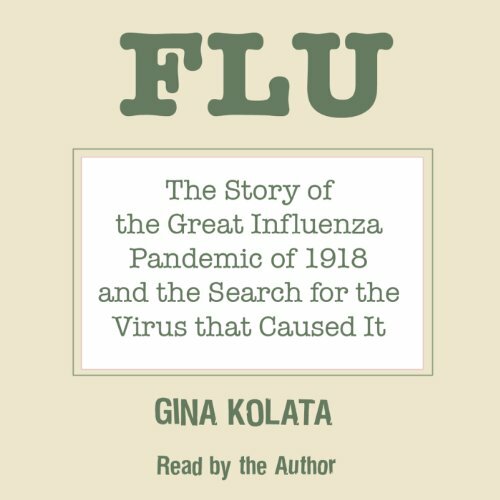 Listening to Gina Kolata's engrossing account of the 1918 Influenza epidemic is sure to give you the chills. When we think of plagues, we think of AIDS, Ebola, anthrax spores, and, of course, the Black Death. Influenza never makes the list. But in 1918 the Great Flu Epidemic felled the young and healthy virtually overnight. An estimated forty million people died as the pandemic raged. More American soldiers were killed by the 1918 flu than were killed in battle during World War I. And no area of the globe was safe. Eskimos living in remote outposts in the frozen tundra succumbed to the flu in such numbers that entire villages were wiped out. 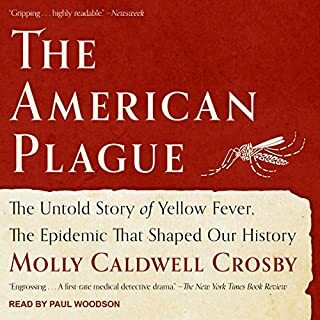 If such a plague returned today, taking a comparable percentage of the U.S. population with it, 1.5 million Americans would die, which is more than the number killed in a single year by heart disease, cancers, strokes, chronic pulmonary disease, AIDS, and Alzheimer's combined. Scientists have recently discovered shards of the flu virus in human remains frozen in the Arctic tundra and in scraps of tissue preserved in a government warehouse. In Flu, Gina Kolata, an acclaimed reporter for The New York Times, unravels the mystery of the lethal virus with the high drama of a great adventure story. From Alaska to Norway, from the streets of Hong Kong to the corridors of the White House, Kolata tracks the race to recover the live pathogen and probes the fear that has impelled government policy. 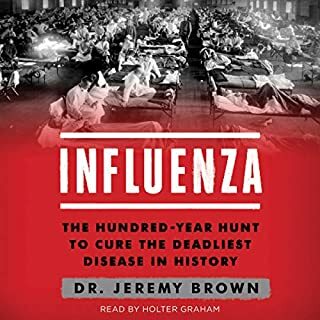 A gripping work of science writing, Flu addresses the prospects for a great epidemic recurring, and considers what can be done to prevent it. I ordered this book in spite of other reviewers' warnings about the "mushy" reading by the author, determined to remain objective. The story of the 1918 flu and its relationship to modern flu viruses is fascinating and important, as is the drama of competing scientists' investigations. The mystery is particularly interesting in light of recent dna discoveries about bird flu, now extant and threatening. As others mentioned, I was disappointed in the narrator's apparent lisp and also her tendency to over-dramatize facts and circumstances which are rivoting on their own. Still, I am glad I stuck with the book to the end. Having worked years ago for a scientist in a competitive university department, I appreciate how individual personalities, passions, and foibles can drive scientific efforts. For someone sufficiently interested in the subject, the narration problems can be endured. The story is interesting and the book is well written. But the voice of the narrator is often incomprehensible. Hence, this audiobook is hardly suited for people whose mother-tongue is not English (like me). I had a lot of problems understanding the narrator. 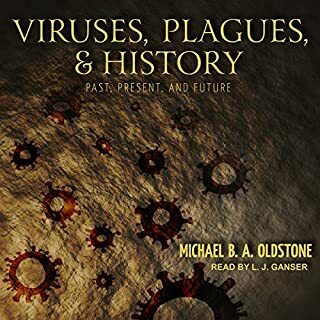 While I am VERY interested in the subject of the 1918 Flu, and have done much research on it, I found the CD to be hard to listen to due to a lisp or accent, or some sort of speech impediment, the reader has. I frequently had to back up and re-listen to long sections because the impediment causes your mind to drift away from listening. This was the second book I've downloaded where the reader had an impediment of some sort.. While it's not the reader's fault, I do expect to be able to understand a book I've bought. A publisher wouldn't put out a book where the words and sentences are smeared. I'll read the reviews a bit closer from now on before downloading another book. I wish I could say the content was positive, but truthfully it's hard to tell overall with the impediment distraction. The story is very good if you like medical mysteries. It is well written and has the feel of fiction. But I had some trouble with the readers voice. I could not understand everything she said and had to go back frequently. Ms. Kolata has too few facts and too many superlatives. Her writing style is labored, sprawling and cliched. Worse, her voice is not suitable for narration as she has a strong accent and slurs her words. I am very interested in this issue, but this book is intolerable. Gina Kolata has an eye for detail, and a flair for the dramatic. From the opening sentence, this book pulled me in and had me waiting for more. I talked about it with friends, even before knowing what discoveries await. 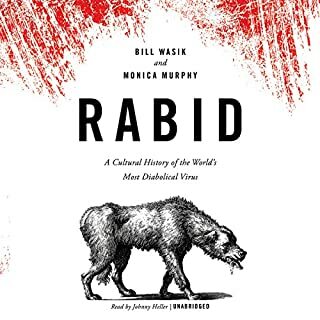 This book tells the story of the spread of the virus, the devastation it brought with it, and its removal from our collective conciousness. Perhaps we were too scared by the thought of its recurrence, or perhaps the reality of AIDS or the hype of Ebola and anthrax replaced it in our memories. Fortunately, 8 decades later, some researchers have started to look into it again with some success. If there is anything disappointing about the book, it is how the Flu of 1918 continues to defy researchers. The book read like a detective story, and I expected it to wrap up nicely with a smoking gun and conviction. Alas reality defies fiction, but this book should be on your Wish List anyway. I am a social scientist who is addicted to mystery and thriller novels. The Flu by Gina Kolata brings together my science vocation and my mystery avocation. Kolata has taken the scientific and epidemiological search for the 1918 killer flu and put it in a highly readable (aka listenable) form. She keeps you interested until the very end. The Flu is a mystery worthy of Michael Connelly at his best. The only downside of the book is the narration. The author chose to narrate it herself. Whether for economic or ego reasons, it was a bad decision. But even the narration has a silver lining in this book. It is a credit to Kolata's ability to tell a story that midway through the book I got used to her amateur narrating style and forgot that the book would have been better with a professional narrator. Anybody with an interest in the flu, or how science really gets done through long hard slogs, or loves a good mystery will enjoy reading Flu. Gina Kolata's "Flu" will get the interested up to speed on the flu in one read. If you are interested in the Pandemic of 1918, this perhaps is not your book. It uses the great flu pandemic as a spring board to present material on influenza in general. 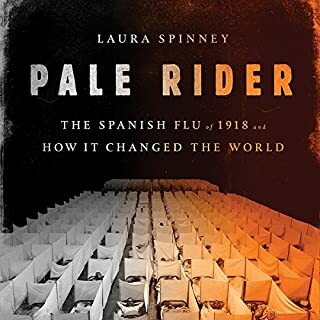 On the other hand, if you are seeking to understand influenza in biological and historical context this book is a great non-technical start. If you want to understand the practical health implications of the flu this is good as well. It is well written and read. 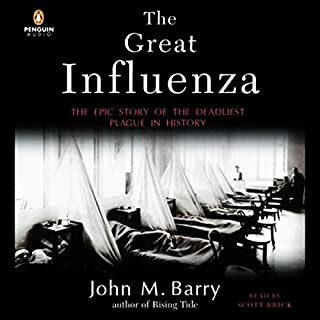 Those interested in a more detailed history of the Great Pandemic, per se, might listen to John Barry's "The Great Inluenza" also available from Audible. This is a fascinating story, made more compelling due to the present fear of a avian flu pandemic. However, the narration is so awful, I cannot finish the book. I unfortunately underestimated how bad it would be from the prior reviews. A wasted credit is the only thing I received from this book. I doubt the author has an actual speech impediment. This type of "impediment" occurs when one records at a too low bit-rate quality--something a professional narrator would never do. Why do authors continue to do this? With *rare* exception (Nora Ephron and David McCullough come to mind) it is a big mistake. Note to authors: check your ego at the curb. Use professional narrators--your audio book will be much more successful. Buy another flu audio book. It's a really interesting story, but it does seem to go on and on rather that just providing the facts. It's written a little too much like a mystery rather than a non-fiction story for my taste. But then I often think books and articles are longer than they should be. Easy listening, informative, balanced and thought provoking. Great book, very easy to listen to couldn't put it down till it was finished.